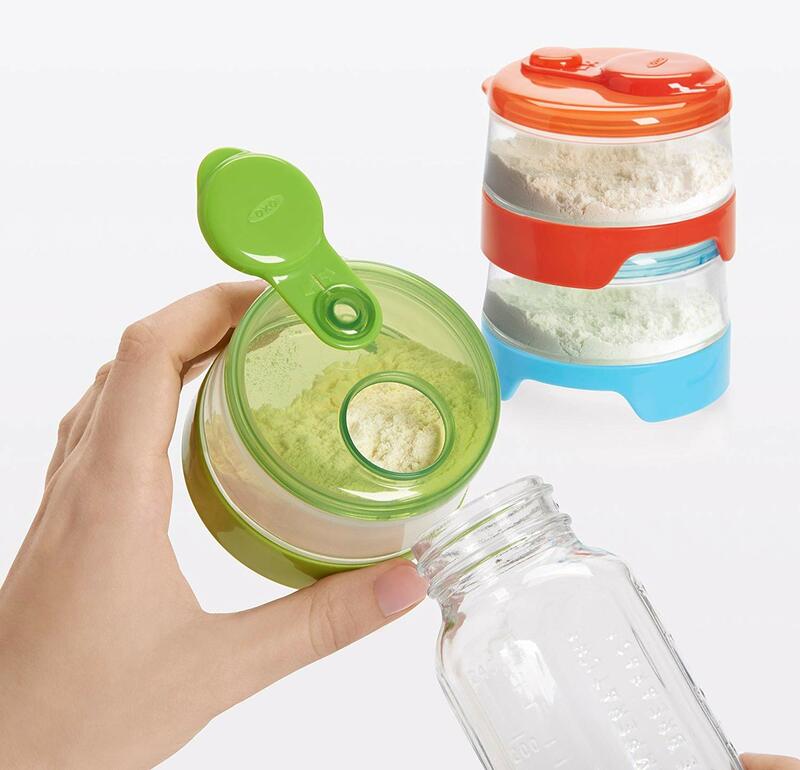 Whether it’s a single feeding or a full day’s trip, make on-the-go feedings a snap with the OXO Tot Stackable Formula Containers. 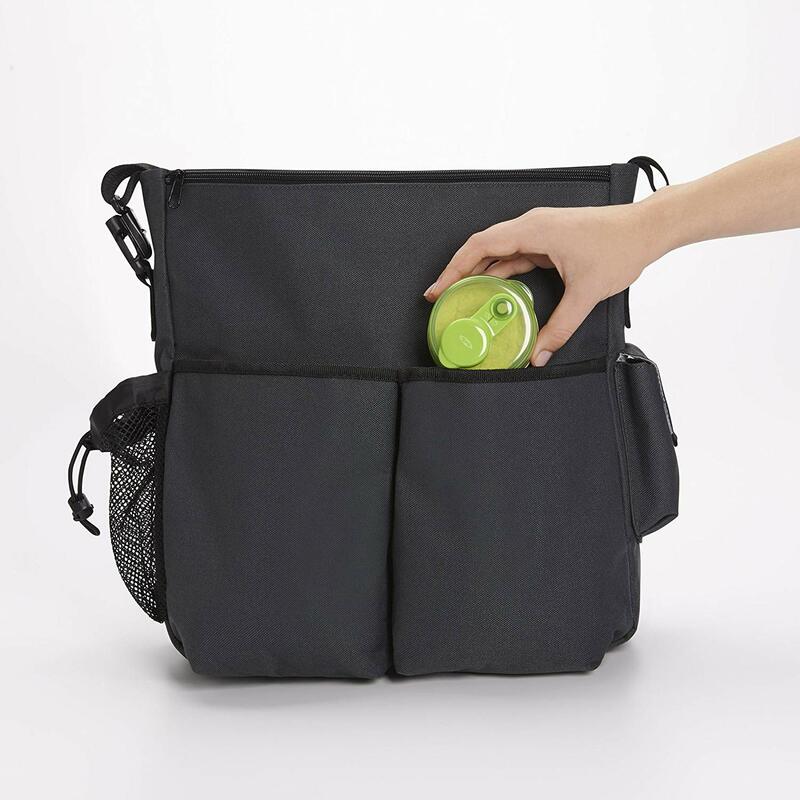 The Containers each hold enough powdered formula for a single 9 ounce feeding and snap together, making them the perfect size to tuck into diaper bags, luggage or purses. 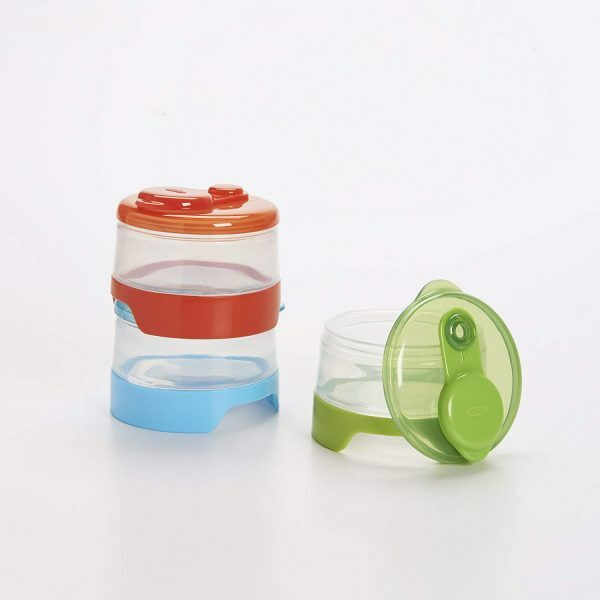 The cap features a tab for easy opening that conveniently swivels to stay out of the way while pouring. 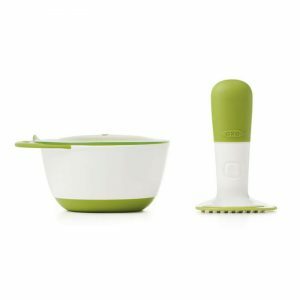 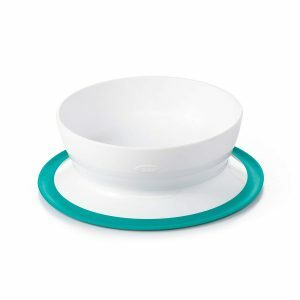 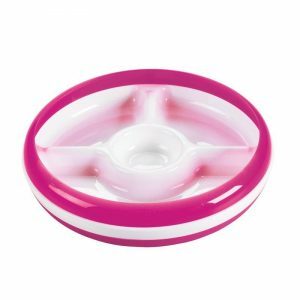 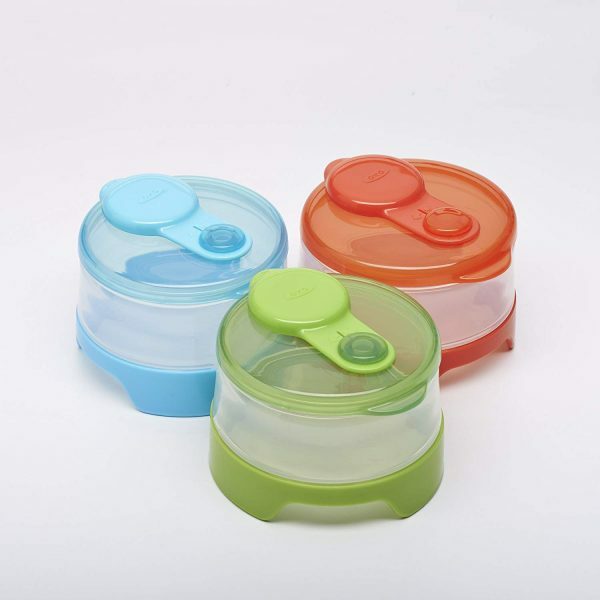 The internal edges are rounded to ensure no formula is left behind and easy cleaning. 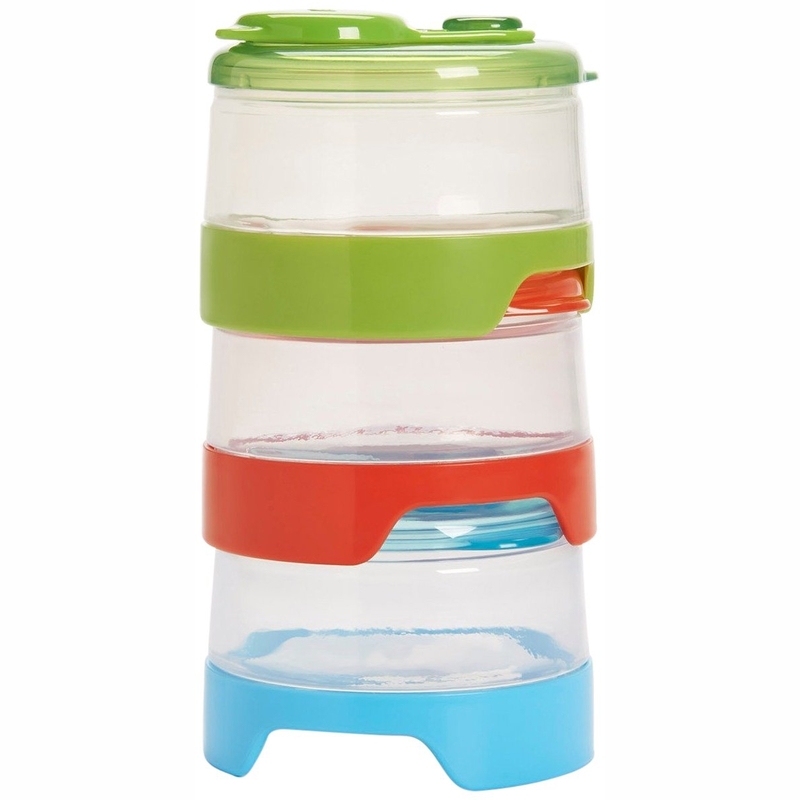 The stacking feature is great for storage when not in use. 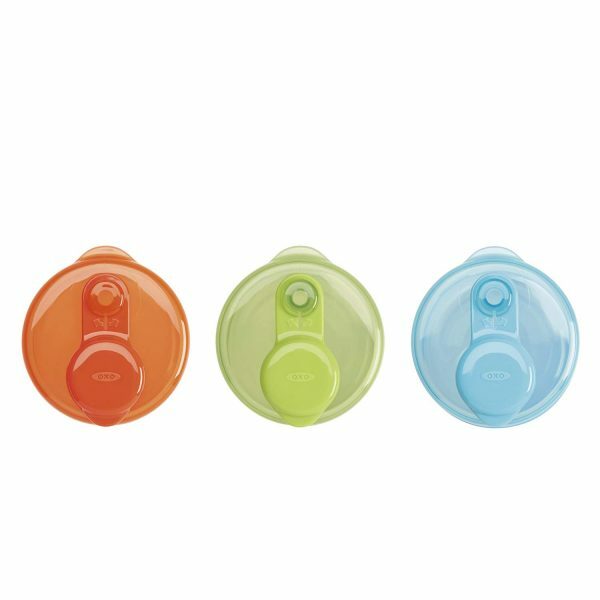 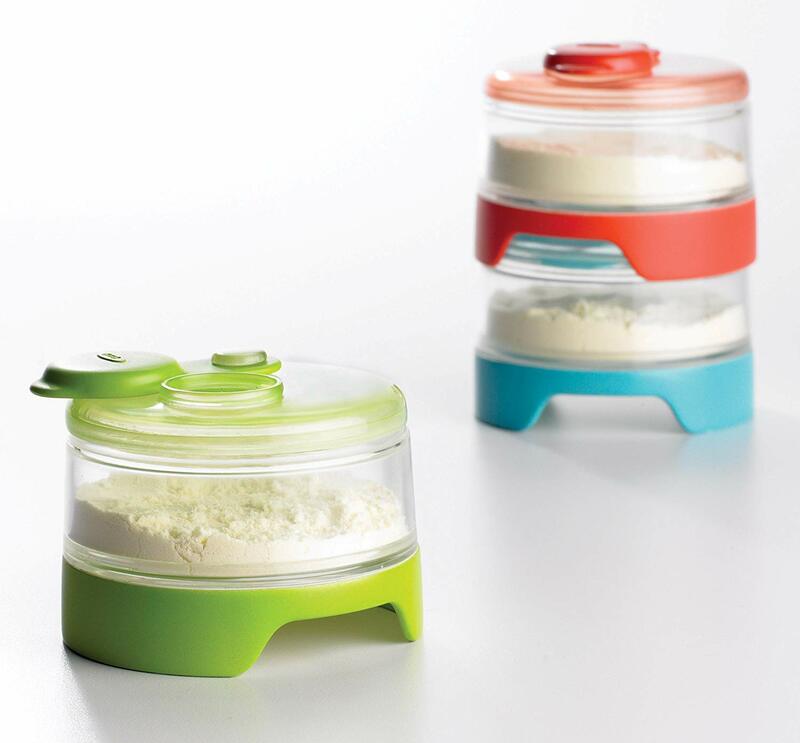 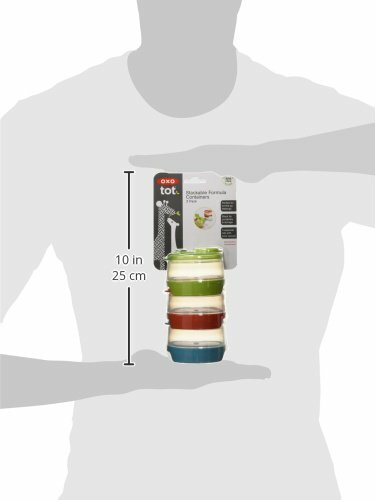 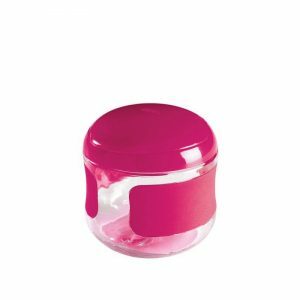 The Formula Containers also snap onto OXO Tot Stackable Snack Containers (sold separately) for parents with tots of different ages.